Hello all, our latest health alert is posted! 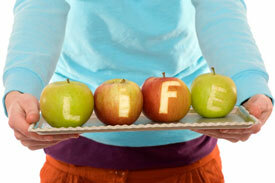 Reach out for a healthy life! Mental Attitude: I know it is tough this time a year, I even had trouble myself looking at the sunny side of this weather. Remember how much appreciation you will have in the spring. In fact the first day of good weather we have and you do not have to work, stay outside all day! Do not go in just stay outside and enjoy the beautiful earth. Health Alert: Having trouble getting your vegetables in your diet? Try the NEW greens product from IT Works we carry, fantastic, a natural replacement for the person needing energy through a day. Diet: Did you know cooking with coconut oil or animal lard are two ways to get great nutrition. Do not be afraid of that lard! Exercise: Stretch your hamstrings! If you have a sitting job, the hamstring stretching is a must. It takes no time to do either, if you have questions ask your chiropractor. Chiropractic: Did you know we treat elbows? Many people are surprised at how effective chiropractic is for elbow conditions, tennis elbow, and such. Wellness/Prevention: Before getting the running and working out craze for this year, get yourself in proper alignment and things will go much smoother. March 25th Webinar – What is the GROW program? April 22th 6:00 – Learn about the art of living a chiropractic lifestyle – simple approaches to improving your health each and every day.